1506TSA PeliLock is constructed of stainless steel and brass. 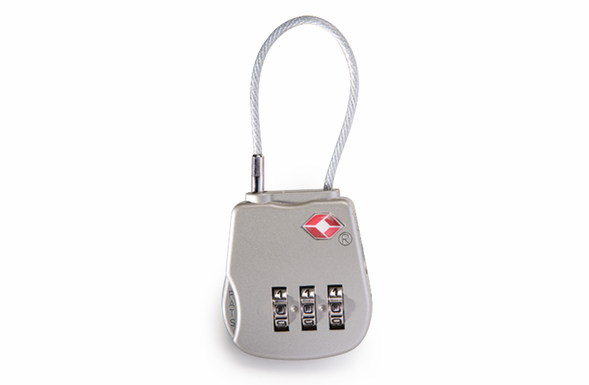 This lock features a resettable combination for easy user code memorization and access. It is recognized by the Transportation Security Administration (TSA). This lock allows travelers to lock their cases and allow TSA inspectors easy access without breaking the lock. Q: Should I lock my luggage? A: In some cases, Transportation Security Administration screeners will have to open your baggage as part of the screening process. If your bag is unlocked then TSA will simply open and screen the baggage. However, if you decide to lock your checked baggage and TSA cannot open your checked baggage through other means, then the locks may have to be broken. Q: Will TSA relock my bag if it is opened for screening? A: TSA's highly trained screeners will take great care to secure your bag if they need t open it for screening. If your bag has a TSA recognized locking mechanism, and TSA opens your locked bag, we will re-lock the bag after the screening process.